Now, I seem to be stuck with something that looks like Emerald but apparently isn't (see note below). Compiz is running, as is gtk-window-decorator, but my title bars aren't following Ubuntu's theme. I was using the Ambiance theme with no problems until the upgrade to Natty. How can I get the default theme? Note: I never installed Emerald, and as far as I can tell it isn't installed. There's no running process containing the string emerald. So I'm not sure where gtk-window-decorator is getting its configuration from. This doesn't seem to be Emerald, but an undecorated Metacity. I worked this out using Ubuntu Tweak, since I forgot where the option was in gconf-editor. Once installed, open it up, and head to Window Manager Settings, under the Desktop section. Scroll down, and the option for "Use Metacity window theme" under Window Effects should be unchecked in your present condition. Check it, and it should bring up the correct theme. If not, restart Compiz. This should reset your Compiz profile to Unity's defaults (e.g., the window decorator should be /usr/bin/compiz-decorator). Not the answer you're looking for? Browse other questions tagged unity upgrade themes metacity emerald or ask your own question. 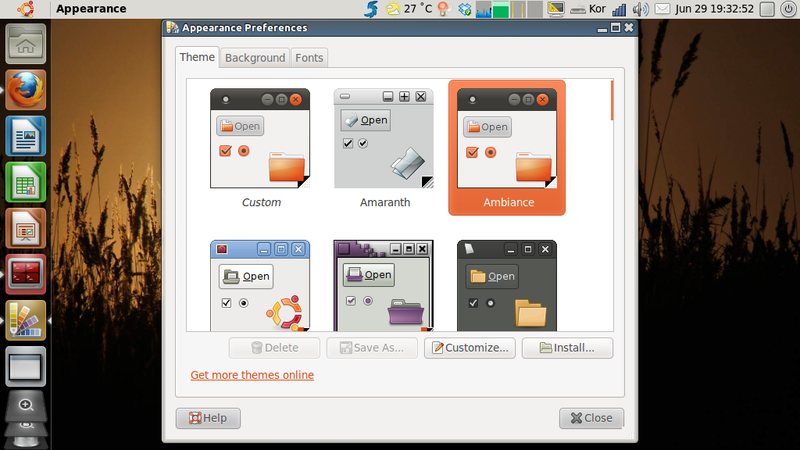 what is the difference between a GTK theme, Metacity theme, and Emerald theme? How can I install Emerald Theme Manager, and switch between Emerald and Metacity themes? 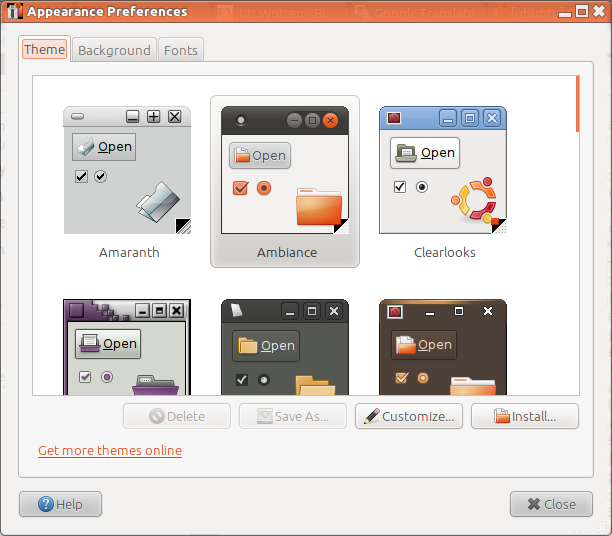 How to tweak Unity panel bgcolor in Ubuntu 12.10?